One of Bitcoin’s biggest mining pools, ViaBTC, has stated they will list for trading BitcoinABC, named Bitcoin Cash (BCC), while allowing their users to mine the fork on a new mining pool. “From 22nd July 2017 (UTC Time), ViaBTC exchange users can trade your “BTC” assets against 1:1 ratio into both “BCC” and “BTC_FROZEN2” assets. Namely, you can trade 1 “BTC” into 1 “BCC” token and 1 “BTC_FROZEN2” token, or vice versa. Deposit and withdrawal are not available for “BCC” and ”BTC_FROZEN2”,” ViaBTC said. BitcoinABC, which largely follows the approach of Bitcoin Unlimited in increasing transaction capacity, will hardfork on August the 1st at 12:20 UTC regardless of any mining support. The new client will create its own network, with its own chain, its own nodes and its own miners. Mining difficulty will automatically adjust downwards dependent on mining support, so the chain will be minable even at low hashrates. Once the chain splits, bitcoiners are automatically given by the network the exact same amount of bitcoins they have on August the 1st both on the BCC chain and the BTC chain. So one bitcoin will become one BCC and one BTC. It is probable all current bitcoin exchanges will list both as bitcoin holders will want both of their coins as both are likely to have some value. What value that will be exactly is to be determined by the market during a period of likely trading frenzy and very high volatility around the beginning of next month. The split comes after more than two years of debate on bitcoin’s scalability, which seemingly ends in two bitcoins due to very different and incompatible visions. On the one hand, almost all miners will activate segwit through segwit2x, a protocol upgrade that increases maximum capacity up to 4MB while providing only 1.7x transactions capacity, instead of 4x as BitcoinABC does. That’s because some parts of transaction data are given a 75% discount, which many say makes on-chain scalability more difficult, while small blockers say on-chain capacity should be kept limited with everyone transacting through intermediaries on protocols built on top of bitcoin, such as the Lightning Network. Big blockers disagree. They think on-chain capacity should be kept above demand up to the actual technical limits of the network so that everyone can transact directly in a peer-to-peer fashion without any intermediaries. They think higher on-chain capacity increases utility and therefore the number of users as well as nodes, so leading to higher levels of decentralization. While small blockers say that as more data is required to be processed, costs to run a node increase, therefore the number of users who run them decreases. Counteracted by big blockers who say the number of users also increases as demand increases, thus the number of nodes would increase. The two very different visions – one of a settlement network that considers bitcoin as gold, the other of direct blockchain transactions that consider bitcoin as both gold and cash – could not be reconciled, so they are seemingly splitting. Bitcoin Core, and the small blockers settlement coin, is likely to initially keep the bitcoin brand and BTC ticker as they are seemingly being supported in an indirect way by most miners through segwit2x. 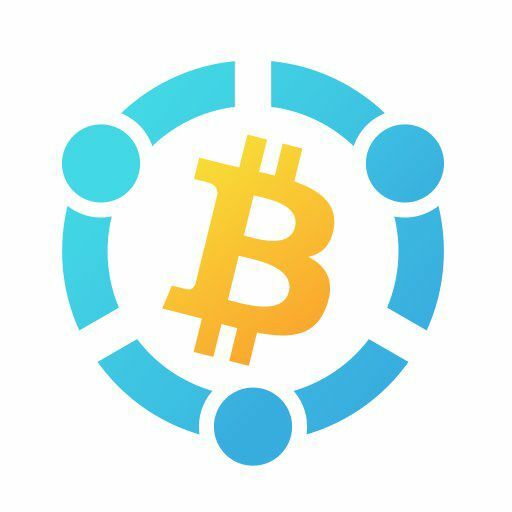 Bitcoin Unlimited and BitcoinABC, as well as the big blocker’s peer-to-peer coin, will now likely be listed under Bitcoin Cash with the BCC ticker. Therefore, they will probably start off as the minority coin, but for the first time in bitcoin’s history, the uncensorable, permissionless, free market, will directly vote and pass the ultimate judgment on which direction is the best path forward for bitcoin. Initially, their corresponding value will likely move significantly up and down in what might be the most volatile trading period in bitcoin’s history. But eventually, the two coins will likely settle on an 80% – 20%. The ethereum experience has shown us that miners follow the price. Therefore, although Bitcoin Core starts off with perhaps 95%, while BCC might have far less, how that hashrate changes will most probably be determined by how the price changes. Moreover, which coin will be known as bitcoin will most probably be determined by which coin settles on the highest price if that is above around 70%. That means, the decision now has been opened to the entire market and all bitcoiners who will soon be able to directly vote on bitcoin’s trajectory in the first of its kind, unforgable, uncensorable, incredibly decentralized, most historic, decision.